The man in the 1st video below is Commissioner of Education Mike Morath, he is being questioned by State Board of Education (Elected Official), Pat Hardy. Texas we’ve got a BIG problem!! As JaKell Sullivan pointed out, Texas is mentioned all throughout the EdTech documents provided below this video. YES, this is how they are controlling WHAT and HOW our children are being taught and we CAN SEE who is financially benefiting. NOW WE MUST STOP THEM! This issue is a HUGE National Security threat. What is being set in place, allows the enemies of America, direct access to American students, from Pre-School through the workforce, to psychologically profile and modify behaviors by creating software programs that can assess, benchmark and apply interventions. It is very important to understand, that the Next Generation of Assessments and Accountability is well underway in Texas schools. At the resource linked below, you will see that the Council for Chief State School Officers (CCSSO), who owns the copyright to the Common Core National Standards, and The New America (whose Board is chaired by Google’s Eric Schmidt), detail their work to control districts’ curriculum choices. How? 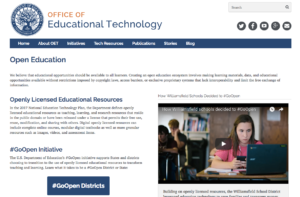 Using Open Educational Resources (OER). Tech giants like Google and Amazon play a key roll in OER. 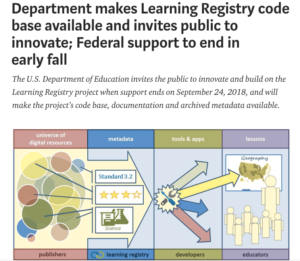 The CCSSO and New America are ecstatic at how quickly schools and states are adopting OER. 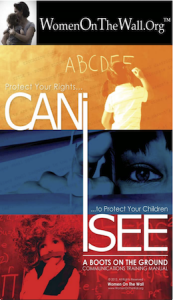 OER is a term coined by the United Nations education division, UNESCO, in 2002. President Trump’s Education Secretary, Betsy DeVos is doing UNESCO’s OER-bidding through the Every Student Succeeds Act (ESSA) and the G20. 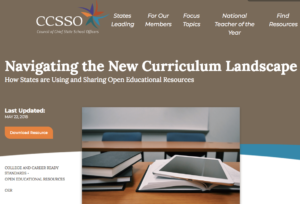 (see the footnotes in the CCSSO/New America paper to understand how the Obama administration used Race to the Top and ESSA to persuade districts that they were regaining control of curriculum from states when, in actuality, they were/are ceding control of curriculum AND assessments to the tech giant cartel by using OER). Prager and Conservative Media outlets that are sounding the warning about tech giants controlling online content need to understand how this exact same thing is happening with online “personalized” curriculum for every student. Fox News, Prager, WND and others need to be reporting on THIS dark side of the Facebook, Microsoft, Amazon, Google, Twitter, US Dept. of Ed, UNESCO story: OER can be rated, curated and tracked in order to control the curriculum and assessments that teachers and children use. OER, using Common Education Data Standards, ties teacher/student learning to global Competency-Based Curriculum giving them access to assess, benchmark and modify students values, beliefs, behaviors, and worldview through OER. The federal tripod of standards, assessments, and accountability is strangling local curriculum and assessment control. The tripod is being used to access and control what your children learn in the classroom. ESSA. MUST. BE. STOPPED. It’s up to parents. Persuade your legislator to end the federal tripod that the tech cartel is using to control what your children learn. The best way to do this is to stop taking federal education money—your taxpayer money returned with strings. More from New America on their OER-Learning Technologies Project. Thank you to Jakell Sullivan for helping us to connect these dots and for this important information. They can accomplished what they want through interoperable databases, single sign-on and IMS global LTI/ Project Unicorn data. It is time for parents to push back against their local school (public, private and charter) for forcing students, of all ages, to use these software programs in order to take and pass classes.